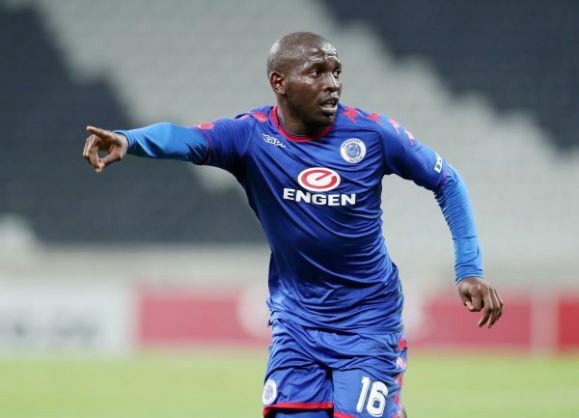 SuperSport United star Aubrey Modiba believes that he and his teammates can finish the season gold medals around their necks along with the Absa Premiership trophy. The 23-year-old says all that United need to do is collect as many points as they can from the 30 that are available from now until the end of the season. As it stands, Matsatsantsa A Pitori are fourth on the log and five points behind leaders Bidvest Wits. To keep the momentum going, SuperSport will need to bag all three points on Saturday night when they host Baroka FC at the Lucas Moripe Stadium. “If we can be within the top three before the season ends, anything can happen and we can even end up winning the league but right now we want to collect as many points as we can so that we can climb up the log and compete with those who are up there,” said Modiba. “This season we played one final (MTN8), even though we didn’t win it, but it is something good for us because every season we play a cup final. Last season we struggled to get to 30 points and this time we are on 32 points. I don’t think that the performance from last season is affecting us right now and I think we are on the right track in terms of everything and the coach has brought confidence back,” he added. Modiba believes that the turning point was when Matsatsantsa were thumped 3-0 by Black Leopards last month – a defeat that saw captain Dean Furman telling his teammates to get their act together.